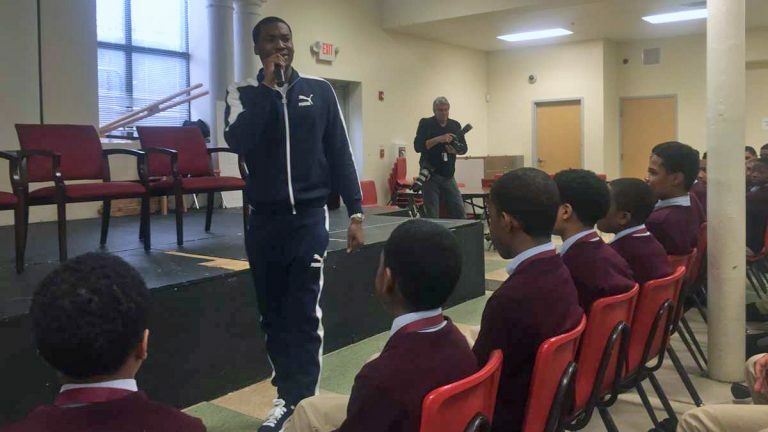 Rapper Meek Mill made a stop Thursday at Boys’ Latin, the charter school in Southwest Philadelphia, urging students to double down on education and to steer clear of the wrong crowd. For some of the students, it was a curious message coming from the Philly native, since he’s due in court Friday for sentencing after violating the terms of his probation three times. Mill, whose given name is Robert Williams, touched on growing up in a single-parent household, the pressures of the streets and the trauma of experiencing daily violence. Mill himself dropped out of Strawberry Mansion High School but later earned a GED diploma. Recently, he’s annoyed Common Pleas Judge Genece Brinkley, who said at a December hearing that she’s given the entertainer plenty of chances. In return, she said, Mill has continually thumbed his nose at her. The case stems from a 2007 arrest on charges that Mill was carrying a gun without a license. 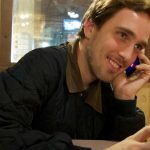 After serving five months in prison, he was released on parole. Part of the terms of his supervised release required him to report his travel to the court every two months. But he failed to do so, raising Brinkley’s ire. The city district attorney’s office has also accused him submitted a urine sample that turned out to be cold water, though Mill denies tampering with it. Brinkley said Mill couldn’t leave the Philadelphia area until his sentencing date and barred him from performing. But Brinkley did allow Mill to do charity or service work. Student Taaj Dickerson, who said he’s a big Meek Mill fan, said he and hopes the judge delivers a lenient sentence. But student Isa Long was less impressed.